ISI 2019 Application Form has been extended till 15th March 2019. Candidates can access it through online mode only. 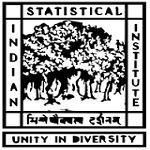 ISI entrance exam is a national level entrance exam to get admission in Indian Statistical Institute. It is a gateway to get admission in various UG, PG, PG Diplomas and Research Fellowship programmes. The candidates will able to get admission in its affiliated campuses which are in Delhi, Bangalore, Chennai and Tezpur. Candidates should apply and appear in the entrance exam to get admission. In this article, candidates can check all the information about ISI 2019 application form. ISI 2019 Application Form Last Date has been extended till 15th March 2019. Click here to apply. ISI 2019 Exam Schedule have been announced now. Click here to check other dates. Here, candidates can check the guidelines to fill the application form. Candidates are also advised to read the prospectus carefully. ISI 2019 application form can be filled through online mode only. The online application form has been started from 5th February 2019. Application form will be filled till 15th March 2019. Candidates have to upload the scanned digital copy their photo and signature in bmp/gif/ png/ jpg/jpeg format. Incomplete or improper application forms will be rejected. Candidates should fill and submit the application fee before the last date of submission. Do not forget to take the printout of the submitted application form. All candidates of general category have to submit Rs. 1250 and Rs. 625 for SC/ST/OBC (NCL)/Persons with Disabilities (PwD) categories. The application fee can be paid using Net Banking, Debit/Credit Card or through Challan for cash payment at the SBI Branch. The exam authority invite the applications from the eligible candidates for providing admission through entrance exam. So, here candidates can check the eligibility criteria to appear in the exam. B.Stat (Hons.) Pass 10+2 or its equivalent with English and Mathematics subjects. M.Stat 3 year Bachelor degree or BE/B.Tech degree with statistics subject. M.Tech (CS) Master degree in Mathematics/Statistics/IT/ Physics/Computer Science/Computer Applications/ Electronic Science or BE /B.Tech or its equivalent. M.Tech (QROR) Master degree in Statistics/ Master degree in Mathematics with Probability and Statistics/ BE/B.Tech or equivalent. Passing marks in Chemistry & Physics at 12th/ Mathematics at graduation level is compulsory. MS (QE) 3 year Bachelor degree in Mathematics, Economics, Statistics & Physics/B.Stat from ISI/ B.E or B.Tech. MS (QMS) 3 year Bachelor Degree in Mathematics/B.E or B.Tech. Note: Appearing candidates are also eligible to apply on a provisional basis. Check the official dates of ISI admission 2019 to fill the application form. Click on ’New Registration’ link. The registration page will open on new tab. Fill group, course applying for, email Id, mobile number, name and date of birth. Enter validation code and click on ‘Register’ button. After that a unique password will be sent to the candidates through email. Now, login to your account and fill the application form details. After submitting all the details, candidates have to upload the asked documents. Upload your photo (size being 50KB), signature (size being 30KB), caste certificate and disability certificate. Choose the payment mode and submit the requisite application fee. After final submission of the application form, keep the printout of it. If you have any other queries about ISI Application Form 2019, you can write your queries in the comment box given below. I am now in 11 can i apply for this exam??? I am in my final year of graduation bsc in economics ..but I am from commerce background ..didn’t have mathematics in my +2.am I eligible? ICAR exam is on 2nd week of May. ISI is on 12th may. Will it coincide?